Please note: the recording of this webinar is available for viewing. If you registered for the webinar in advance of the live stream, you may email aamc@artcurators.org in order to receive a password to access the recording. Interested in viewing the whole series? Click here to purchase all three recordings. The Association of Art Museum Curators (AAMC) and AAMC Foundation is honored to present a series of three webinars on research, advances, and issues surrounding the topic of provenance. The series was co-created and co-organized together by David Saunders, Associate Curator, Department of Antiquities, J. Paul Getty Museum and Judith Pineiro, Executive Director, AAMC & AAMC Foundation. With the establishment of substantial research databases and resources, great progress has been made in researching artworks that may have been subject to unlawful appropriation during the World War II era. As museums work to make their collections accessible online, there is both the need and potential to extend these advances to other categories of objects. The first webinar will acknowledge the impact of the pioneering work in WWII era research and provide updates on the current status within the field. The second session will offer a review of work currently being undertaken for non WWII era looting and specifically looking at fields, including but not limited to, African Art, Asian Art and Antiquities. In the final session, we will emphasize the interest and need for progress in collaboration across diverse fields, present information on sharing data, and digitization and resources in communicating knowledge. 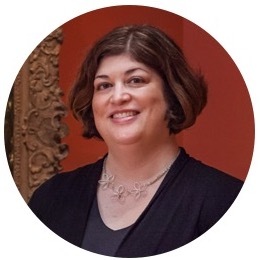 Karen Daly has been a museum registrar at the Virginia Museum of Fine Arts (VMFA) since 1996. In 2003, she assumed an additional role as VMFA’s Coordinator of Provenance Research, serving as the museum’s contact person for information related to World War II era provenance, and as its coordinator of provenance research. Since 2012 she has been the Registrar for Exhibitions, overseeing departmental responsibilities for loan exhibitions to the museum. 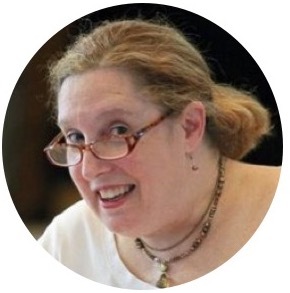 Ms. Daly holds a Masters of Arts degree in Art Historical Studies from Virginia Commonwealth University and a Bachelor of Arts degree in Philosophy and Religious Studies from Louisiana State University. 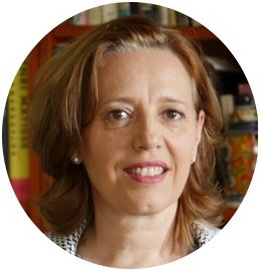 She is a frequent lecturer on topics related to museums and provenance and has been published in the American Association of Museums 2005 publication Vitalizing Memory: International Perspectives in Provenance Research and in the American Association of Museums 2010 publication Museum Registration Methods 5th Edition. She was also a participant in the 2017 German and American Provenance Research Exchange Program (PREP) for Museum Professionals. Before coming to the Met in 2005, Dr. Hollevoet-Force held curatorial positions in the Whitney Museum of American Art’s Independent Study Program, at the Solomon R. Guggenheim Museum, and at the Museum of Modern Art. She spearheaded MoMA’s Provenance Research Project, and remains dedicated to ownership history to this day. She contributed to Met catalogues dedicated to dealers Ambroise Vollard and Alfred Stieglitz, and artists Pablo Picasso and Henri Matisse, among others. She lectures frequently, and is on the steering committee of the German/American Provenance Research Exchange Program for Museum Professionals (2017–19). Jane Milosch is founding director of the Smithsonian Provenance Research Initiative, overseeing WWII-era provenance research projects and advising on international cultural heritage projects, provenance, and training programs. Before this, she directed pan-institutional art programs and led new interdisciplinary initiatives and strategic planning efforts at the Smithsonian’s eight art units. She was Chief Curator at the Renwick Gallery, Smithsonian American Art Museum, and Curator at the Cedar Rapids Museum of Art. Milosch’s connections to Germany are long-standing, with Rotary and Fulbright Fellowships, and as project director with Prestel Publishing. 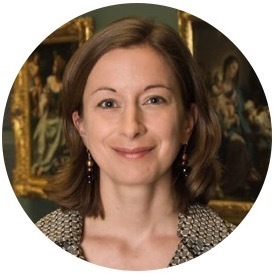 Her experience as the U.S. representative to Germany’s international “Schwabing Art Trove” Task Force led to the program idea for the German/American Provenance Research Exchange for Museum Professionals (PREP), 2017-19. Victoria Reed has been conducting provenance research at the Museum of Fine Arts, Boston, since 2003. She is responsible for the research and documentation of the provenance of the MFA’s encyclopedic collection. She has overseen the resolution of several ownership claims for the Museum, and has lectured and published extensively on provenance. She earned her BA in liberal arts at Sarah Lawrence College, and her MA and PhD in art history from Rutgers University. Laurie A. Stein is a specialist in World War II-Era provenance research as well as in 20th century German art, design and architecture. She has been curator at the Art Institute of Chicago, the Saint Louis Art Museum, and the Werkbund-Archiv in Berlin. Friday, March 9, 2018She was Founding Director of the Pulitzer Foundation for the Arts and Midwest Director for Christie’s before establishing L. Stein Art Research, LLC in 2005. 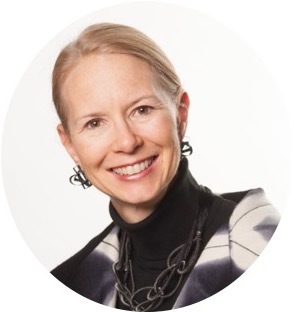 Since 2007, she has been Senior Advisor for the Provenance Research Initiative at the Smithsonian Institution. Stein has been provenance consultant to numerous institutions and individuals, including Yale University, MoMA, Guggenheim, the Metropolitan Museum, the Art Institute of Chicago, and the Foundation E.G. Buehrle Collection in Zurich. She helped establish the German Working Group for Provenance Research, and researched for the Swiss government’s Bergier Commission and for the Gurlitt Art Trove in Germany.